Spring is in the air and lawn service professionals are ready to make Dallas lawns look their best. Whenever we are designing a new garden for one of our Dallas homeowners, we use flowers that are native to Texas. By using native spring flowers and plants, your landscaping will have a higher chance of surviving the Texas climate. Make your lawn and flower bed look especially colorful with these 5 spring flowers that thrive in this Texas season. 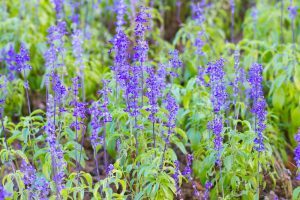 Although physically similar to the world-famous Texas Bluebonnets, Salvia farinacea can grow up to 2 to 3-feet tall and has flowering blue, purplish-blue spires that can reach heights of 18-inches or more. Otherwise known as the mealy blue sage, Salvia farinacea is a native of Texas and Mexico. They are very popular plants in the Dallas, Fort Worth Metroplex. Salvia farinacea can be in bloom all season as long as the spikes are cut back once the flowers are spent. They are extremely heat and drought-resistant, requiring full or partial sun and less than an inch of water a week. It also attracts butterflies and hummingbirds while repelling deer. No pinching or pruning is required to get mealy cup sage plants to branch. Sunshine will do the trick. And only minimal deadheading is required to keep the plants blooming. Just be sure to keep them watered during dry periods and keep watch for pests. In rich soil, Salvia farinacea won’t need any fertilizer at all but if you’re growing it in leaner soil, fertilize mid-summer to prolong the bloom. In hotter climates, afternoon shade will prolong the bloom and extend its lifespan. Do the Salvia Plants Live Long in Texas? Salvia farinacea with proper care can bloom steadily for up to five years. That is why so many Texans ask their lawn maintenance provider to plant this specific flower for their beds. Also referred to as the marshmallow Hibiscus, Crimson-eyed rose mallow, or Swamp rose mallow, these plants can grow up to 10-feet wide and produce enormous white, pink, red and fuchsia flowers, blooming from July until frost. In winter, it dies back into the soil but reemerges quickly in the spring. Hibiscus can be found in wet places such as marshes and swamps in the eastern states, as well as in southern states like Texas and Florida. 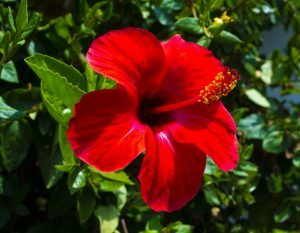 Hibiscus plants respond best in North Texas climate and don’t require much general yard work. Usually, when planted in Texas, spring flowers, like hibiscus, live in large pots with drainage holes in the bottom. They enjoy full to partial sun and moist, but never wet, soil. They grow very rapidly and do not require much care. Poor air circulation and overwatering can cause root rot and other plant diseases so keep it ventilated, moist and with ample sunlight. How Long will My Hibiscus Plant Live? Hibiscus tend to live up to 5 years and with proper care should reemerge late spring stronger and more vibrant than before. Also known as the sky flower, or Blue Imperial, for its sky blue blossoms, Plumbago auriculata are one of the more common spring flowers that are abundant from May until frost. They attract all types of butterflies, repel deer and can be left to grow sprawling on the ground or arranged to fall over a wall. Cape plumbago are native to warm temperate to tropical regions in the world, particularly in South Africa. 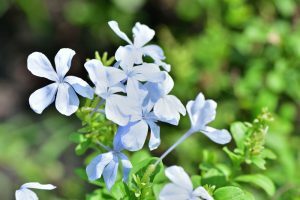 Though a tender perennial, Cape plumbago is tough enough to thrive in the heat and humidity of Texas summers, growing best where lawn mowing is frequent, soil is sandy and light with adequate drainage and rich with organic matter. A real butterfly magnet with its numerous flower stalks and because it produces blooms on new growth, pruning it a few times during the growing season will increase flower production. As far as lifespan goes, maintenance and care really pays off for these spring flowers. The Cape plumbago can live anywhere from 5 to 20 years. The plant varies drastically in size, from only 4 to 8 inches tall in batches of dwarfs to 2 to 3 feet tall in larger groups. Its flowers vary in color from white to various yellows, reds and pink and bloom profusely. Cosmos grow best in what are usually considered the worst conditions, thriving in places like Arizona, Georgia, and Texas. 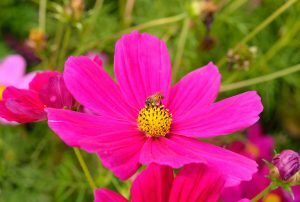 Cosmos are the easiest spring flowers to grow and make good borders or container plants. Requiring minimal lawn maintenance, they attract birds, bees and butterflies and apart from needing at least a half day of sunshine, they thrive on neglect. After the seedlings emerge, water very sparingly. In rainless months, give the planting bed a long, slow drink. Cosmos is drought tolerant, providing abundant blooms with less water than most other annuals. How Long do Cosmos Live? Cosmos are annual flowers, meaning they’re born, grow and die over the course of a year. New flowers must be planted every season to maintain their stay in the Dallas climate. Known also as cockscomb or woolflower, Celosia cristata’s height at full maturity can be anywhere between 6 inches and 3 feet. Warm-weather plants, Celosia cristata thrive in hot, humid Mediterranean climates. Celosia require a minimum of eight hours of direct sunlight and soil that drains quickly, making it abundant in dry, humid climates. 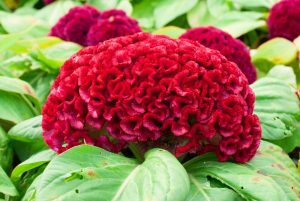 Soil must be easily drained, otherwise, Celosia faces the risk of root rot, and its flowers will bloom wilted and discolored. Although they will grow in nutrient-poor, sandy soil, these flowers will thrive and bloom exceptionally with Dallas soil containing high levels of organic matter. Leaf mold, peat, well-aged cow manure, and compost are suitable soil amendments. What is the lifespan of the Celosia cristata? Although Celosia cristata are often grown as annuals, can survive mild Texas winters. 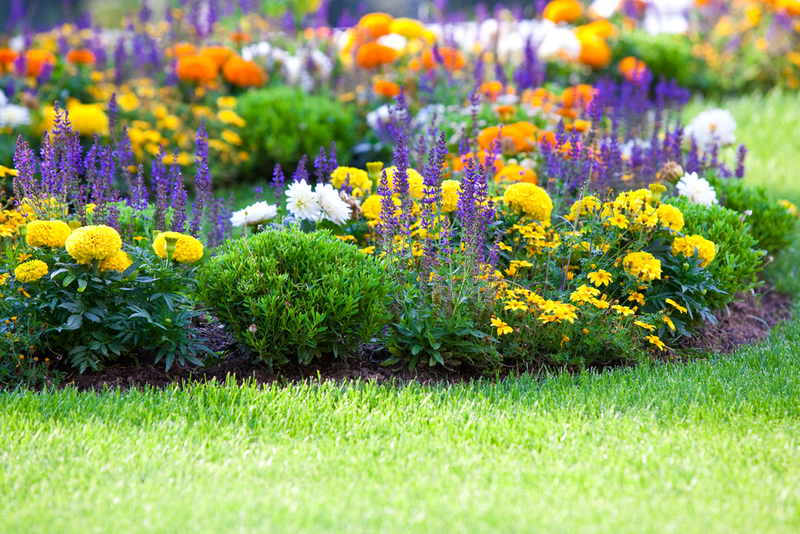 If you are looking to have your bed of flowers looking gorgeous this spring, get in touch with Yepez Maintenance Service. Our lawn care professionals have the experience to make your neighbors green with envy. Reach out to us today to find out more about our services and how to get a free quote. Check out some of our Reviews & Testimonials. Some examples of our Residential Customers. 8732 Comer Dr Dallas, TX 75217.